Marble has a long history of being a expertly crafted, beautiful and made to last the test of time. For this reason we love the use of the marble in a wedding, can you think of a more beautiful material to signify marriage? 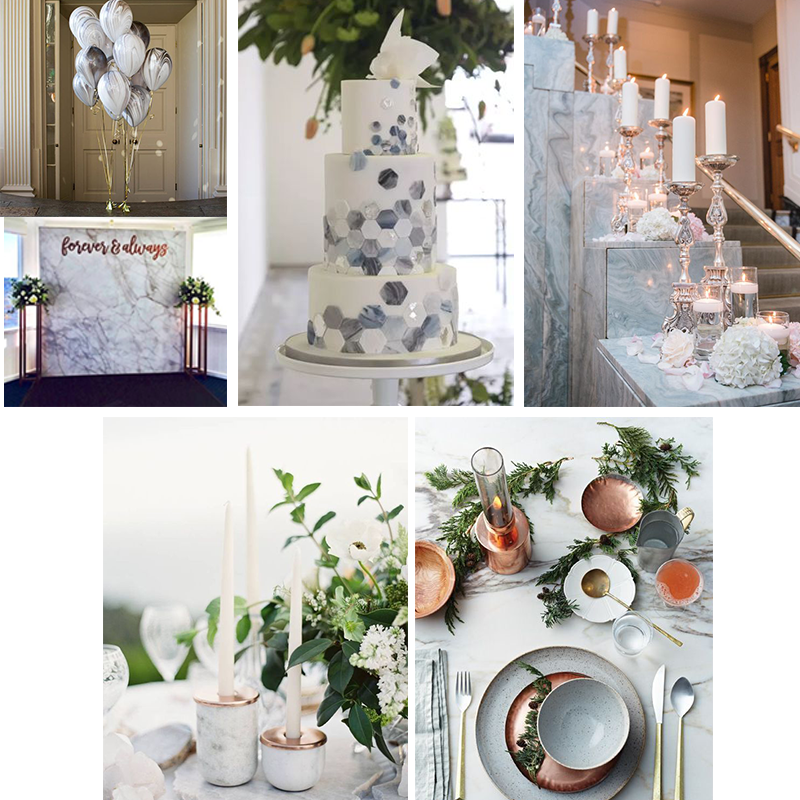 We’ve found the most inspiring photos that are perfect for giving you the marble inspiration you need to incorporate into your big day. Looking for a way to incorporate this hot trend into your wedding day style? 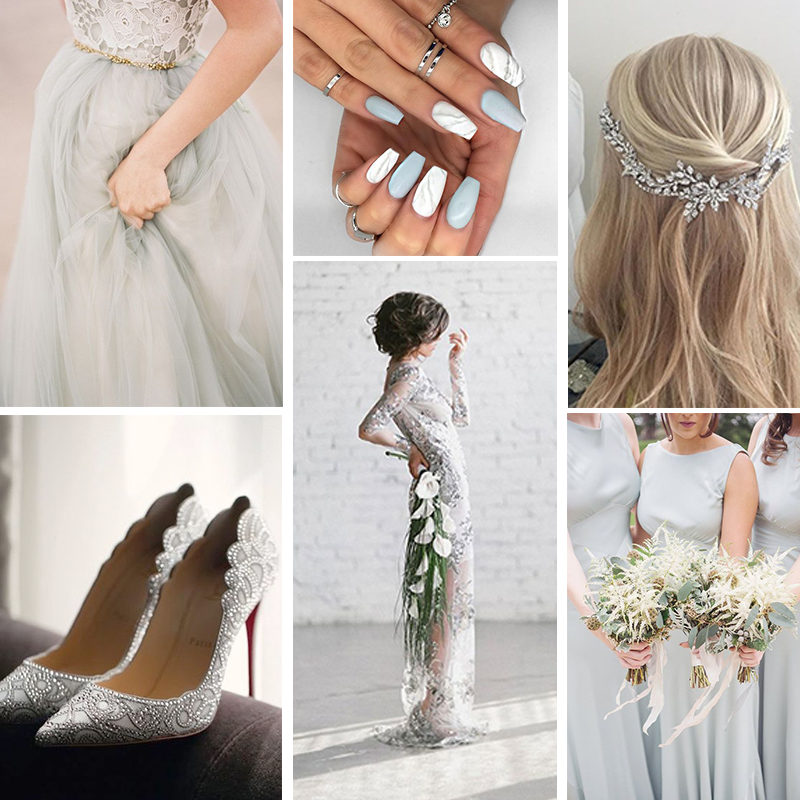 Why not add a splash of glitter and sparkle to your dress, shoes and bridesmaid dresses. This simple addition will add glamour, sophistication and style to your day. 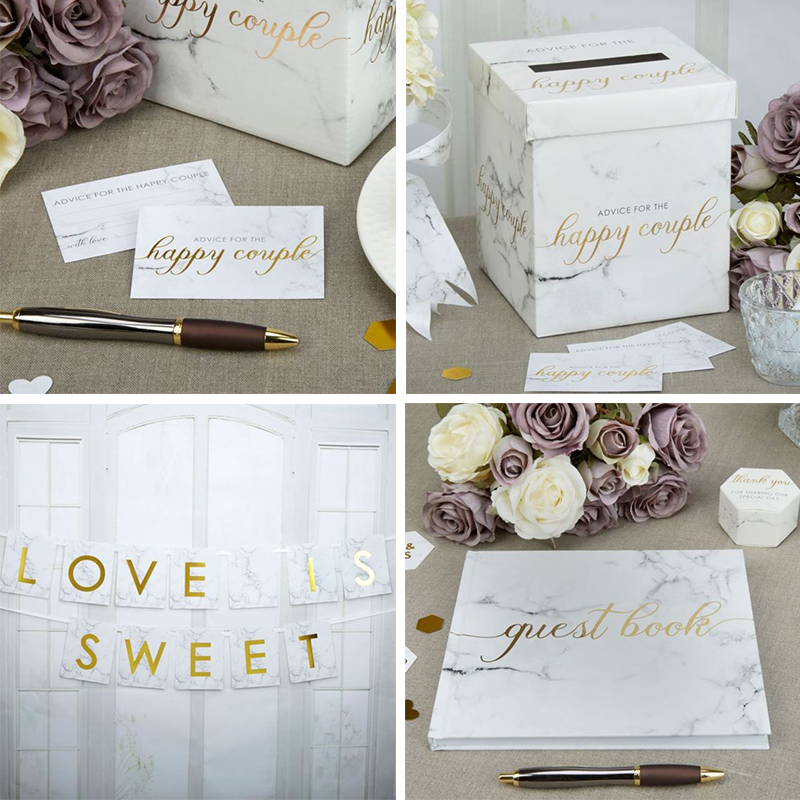 Looking to add a few touches of marble to your wedding day? Combined all these beautiful accessories will add the perfect finishing touches to your day. Looking to make a bold marble statement? Why not create a marble backdrop, the perfect background for any photos taken throughout the big day. If you want to add a more subtle marble tint, why not choose grey as your theme colour and carry this through with your table decorations and flowers. This is a soft way to introduce one of the hottest trends this year into your celebrations.